A new feature has just been pushed live which gives you group messaging support! 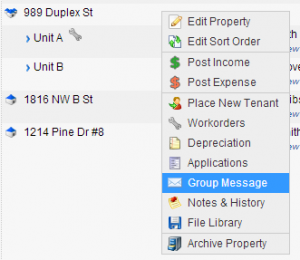 On any multi-unit property (duplexes, triplexes, apartments, etc) when you right-click you are presented with a new option ‘Group Message’. Send a message to all owners within a single property group. Sending a message to all tenants within an apartment when there is going to be a maintenance event. Sending out bulk policy updates to tenants or owners. This is a perfect solution for any other notice that needs to be sent in bulk. These group messages also have database field support, so you can customize the messages with the name or balance of tenants and owners. You can also define pre-set templates for messages which might go out more than once so you only type it up once. We’re all about saving you time! All group messages can be sent either by email or SMS. 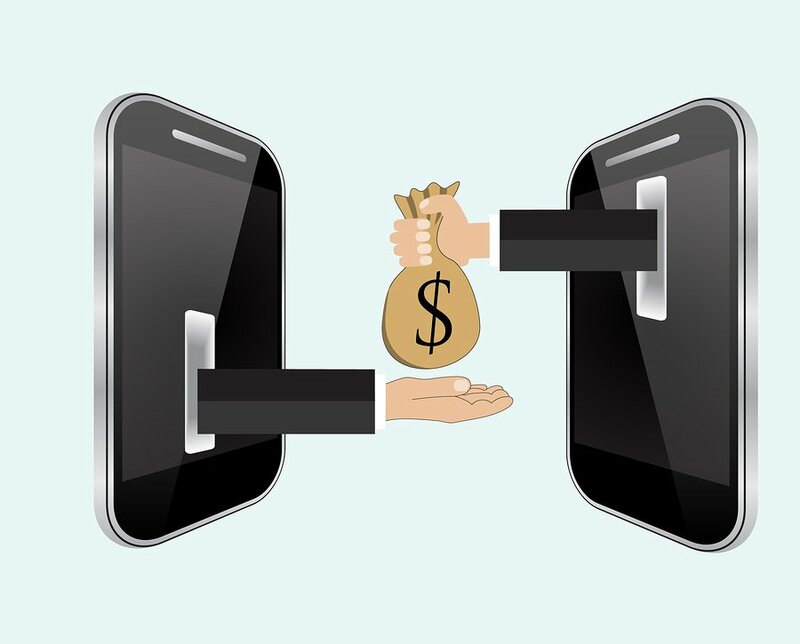 SMS (aka, text message) is delivered directly to the owner or tenant’s mobile device in realtime. They can reply directly to you and their replies (as well as your sent message) are archived within the system. Wouldn’t this be beneficial for property managers who have owners with multiple single family homes?